Earlier this year, with the launch of the widely-anticipated operating system release iOS11, Apple announced a brand new App Store experience. Not only is the App Store friendlier and tons more usable, Apple has elevated the role of their editors – actual people who live, breathe and sleep the apps that developers create, publishing stories, lists and deep dives into the apps that captivate, enthral and delight them and millions of App Store users around the world. This month, whilst compiling the App Store Best of 2017, the editors identified four breakout trends in app culture. 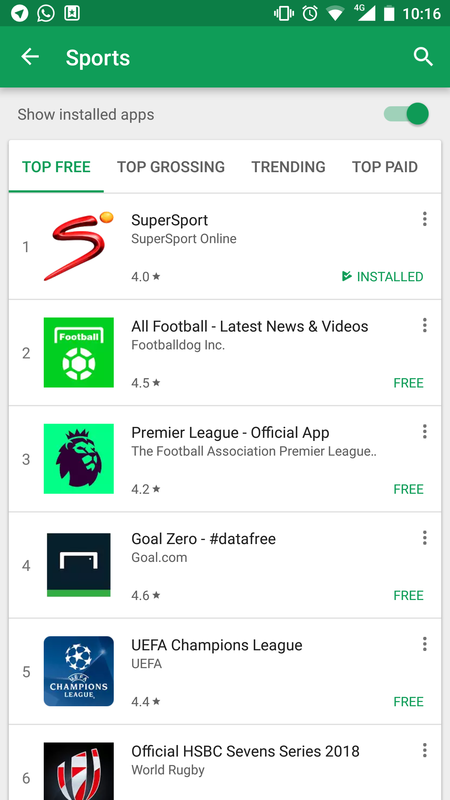 SuperSport, as well as a second app created by Multichoice, DStv Now, is featured in the top 5 apps for the trend, Stream Anytime, Anyplace, in a showcase of apps that empower people to “break free of those cables and watch our favourite shows, movies and games wherever, whenever. Apple and Google have also published the top apps for 2017 across the various app categories. 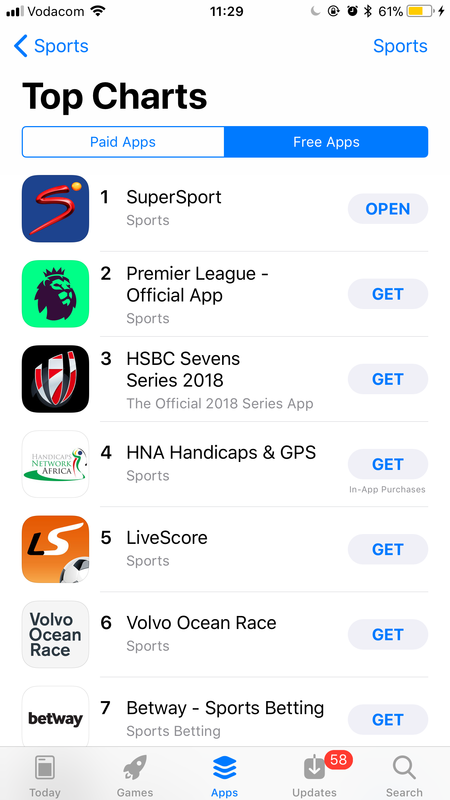 In the Sports category, SuperSport tops the charts as the free app that South Africans use and love most – for both iPhones and Android devices. Created over almost a decade by teams within Multichoice and Durban-based app development company, the immedia ecosystem, the SuperSport apps are available for both smartphone and tablet devices across Android and iOS. 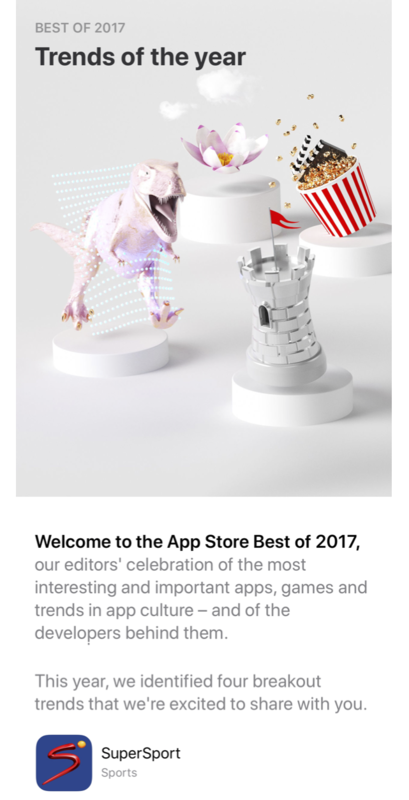 In an email sent to the developers of these exciting apps, the App Store Team shared the announcement and congratulated them on their work. Congratulations! 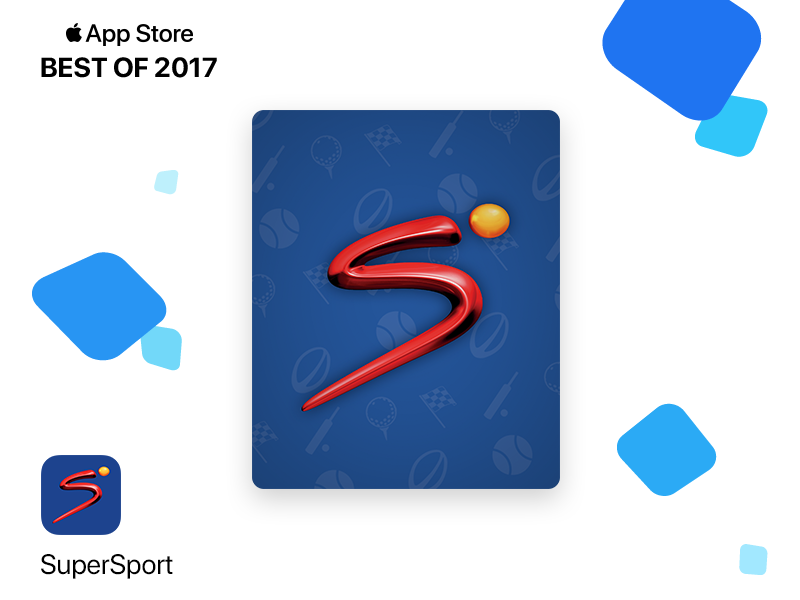 We’re thrilled to let you know that your apps, DStv Now and SuperSport, are currently being featured in the App Store Best of 2017. This showcase celebrates our favorite games and apps on the App Store, and the amazing experiences that developers like you have created for Apple platforms. Sports fans will be delighted to know that a brand new user experience awaits you early next year, with an updated look and feel and even better streaming performance. Johan Huyser, Manager: Online Products – Sport at DStv Digital Media, is elated at the recognition. “Being listed among the world’s best and trending apps is an incredible achievement for all involved. Building apps that change the way people experience sport and entertainment is not easy and for the team to get recognised like this means a lot. “I want to thank the passionate and talented people at SuperSport, DStv Digital Media and immedia for all the hours and hours spent on building the SuperSport online products our fans love,” says Huyser. The app dev team at immedia feel an equal amount of pride for this acknowledgement from the App Store, shares immedia’s Client Engagement Lead Hilton Tarrant. “We pride ourselves on creating experiences that provide meaning and impact for the people that use them, and part of that means doing what it takes to help our clients shine. To do so, we’ve invested heavily in global training from Apple, Microsoft and others for the past 8 years, all of which culminates in recognition such as this. For a full list of the top iPad and iPhone apps and games, along with additional details on the top App Store content in 2017, visit the App Store on an iOS device.